A new caution notice from the U.S. Department of Agriculture this week warns of the health risks of kibbeh, a Middle Eastern and North African dish traditionally prepared with beef or lamb combined with raw onion, cracked wheat and spices. “Although there are some versions of the dish that are baked or fried — such as Kibbeh raas, quipe, Kubba halab, or Kibbeh bil sinieh — others like Kibbeh nayyeh are prepared and served raw,” the USDA reported. 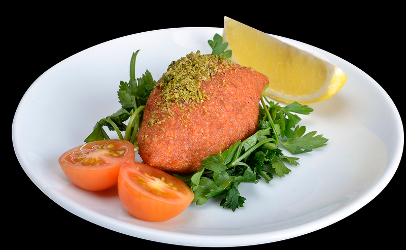 Raw meat is often the source of foodborne illnesses and kibbeh nayyeh has specifically been linked to an outbreak. “Dangerous bacteria such as E. coli and Salmonella are often present in raw meat and are known to cause serious illness with symptoms such as nausea, vomiting, diarrhea and fever,” according to the USDA. Food poisoning is particularly dangerous for young children, pregnant women, or anyone with a weakened immune system. In severe cases, food poisoning from E. coli can cause long-term consequences such as hemolytic-uremic syndrome (HUS) which can result in kidney failure or even death in young children. If harmful bacteria is present in meat products, they are often found on the outside of a muscle cut like a steak, loin or roast. Cooking meat significantly reduces the risk of food poisoning when heat kills the harmful surface bacteria. “Ground meat foods such as kibbeh are different because the outside of many cuts of meat, or the trimmings, are cut up, ground, and mixed together. The surface of the meat now becomes the inside and even a small amount of contamination can be spread throughout the entire batch,” according to the USDA. Although USDA’s Food Safety Inspection Service checks the production of meat at slaughter and processing facilities nationwide, and federal rules require sampling and testing of meat products, consumers share a role in taking proper steps to reduce the risks from harmful bacteria. Adequate cooking is the best defense. Controlling the temperature of the meat and using clean blades to grind the fresh meat are steps that some people take when preparing kibbeh, but neither of these practices can ensure that the meat being eaten is actually safe, the USDA notice cautioned. Alternative preparations for the traditional kebbeh dish, such as frying or baking, make it possible to eat the dish safely when the meat is cooked to 160 degrees F, as measured by a meat thermometer.